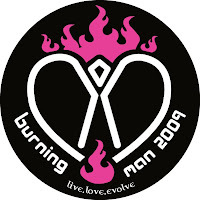 Meg Raymore's design was selected as one of the official Burning Man 2009 designs. Look for it on the playa! great design! Can I get some stickers with that design but with ORANGE flames? Shoot the designer an email at info@smallpondstudio.com, and we'll see what we can do! Hey I have some of those from last year! Someone gave me quite a few so I handed a bunch out on 5:30 and G by the #14 Oakland Bus Stop. Thank you for sharing with useful tips. Currently mobile technologies are the most used in windows mobile development that needs in development of mobile software apps for cells. Thanks for nice article. Let me mention about home insurance cost for USA policy owners homeowners insurance companies. Save on free online rates on homeowners insurance. Thank you for posting this great info. You have affordable possibility to clarify casino affiliate program. The best gaming programs such as 32Red and great poker rooms such as party poker affiliate.